Is Huawei the new Samsung? You've definitely heard of Huawei, the famous Chinese brand founded in 1987 with a focus on network and telecommunication solutions. Inspired by Apple and other industry giants, it has conquered the market thanks to its ability to manufacture competitively priced smartphones. So, it's no surprise that consumers now walk into stores asking for them by name without any hesitation. How many people do you know with a Huawei smartphone in their pocket? And how many times have you heard someone say "I need a new phone, and I'm going for a Huawei!" It's a widespread phenomenon. Many of my friends and family have opted for one already. Why? There are several reasons. In recent years, Huawei has shown what it's capable of: making quality devices that can meet user needs without an excessively large price tag. That's with the exception of the Mate 10 Pro Porsche Design, which has a price that reflects the excess which the Porsche brand is known for. Huawei seems to have taken the features and most interesting ideas from its competitors and then integrated them into its devices at more competitive prices. 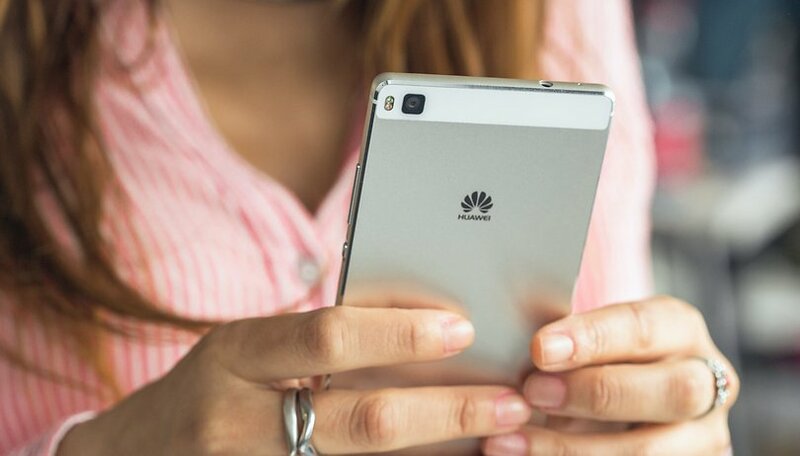 Little by little, Huawei has made its way into the pockets of users by taking advantage of its telecom experience. The first Huawei phones to hit the market looked like iPhone clones. The similarities didn't stop with the design, but extended to the software's user interface as well, however immature by comparison. Since these aspects of the Cupertino firm's devices were pleasing to users, why not use them? But it wasn't just Apple that Huawei looked to for inspiration. The aluminum body of the Mate S, for example, was reminiscent of an HTC. Huawei seems to have taken the features and most interesting ideas from its competitors and then integrated them into its devices at more competitive prices. Fears of it being just another unreliable Chinese brand have subsided over time. Meanwhile, the software has matured, its own Kirin processors have proven themselves, customer service capacity has risen to quell user fears and the first physical stores have opened their doors. Huawei looks around at what's happening, seeks to understand its users and competitors, and looks to the future with a focus on innovation. The brand then sought to get a step ahead of its competitors, for example with the P9, the first smartphone to offer a dual rear camera, a feature which is almost boring today. To give their offerings even more appeal, Huawei has decided to collaborate with experts like Leica for lenses, Porsche for the Mate Design range, Harman / Kardon for the four Mediapad M3 speakers, and Amazon's Alexa for the US version of the Mate 9. This intelligent strategy has helped to make up for Huawei's weaknesses and meet the needs of users thanks to the help of some well-loved brands. And then there is marketing. In the streets you can see Huawei posters everywhere. On television and in magazines, Huawei brings in famous faces as ambassadors, like Lionel Messi from the sports world and the actress Scarlett Johansson. A bit like Apple, Huawei seems to be everywhere now. The Chinese brand is diversifying its products and services, and offering not only smartphones and tablets, but also smartwatches, connected wristbands, cloud and IoT products in its collaboration with the University of Toronto, artificial intelligence, 5G and so on. Part of its profits are invested in research and innovation, which are carried out in various dedicated centers in different countries around the world. Huawei looks around at what's happening, seeks to understand its users and competitors, and looks toward the future with a focus on innovation. It has made a name for itself in the market and this translates into customers marching into stores and asking for a Huawei smartphone confidently, without even considering the different models' or product lines' differences, much as is the case with strong brands like Samsung. In addition to flagships, the P Lite range has helped a lot, just like Galaxy J and A lines from its South Korean competitor. If Huawei can conquer the US market, it could become the top smartphone brand in the world. Today, everyone knows Huawei. The brand has to stay on course, offering quality devices without increasing prices, and integrating the best technologies by anticipating trends and leading the market in the coming years. If it does this, Huawei could soon be the top smartphone brand in the world. Until they sort out their support and customer service issues; no thanks. They dropped the ball on the Nexus 6P support. I'd only use a Huawei phone if you gave it to me. My colleague recommend P10 to me, and I may buy one latter. I have a Mate 9 for almost a year, and it still works great. Most satisfied with its big battery and excellent camera. My friend bought a Huawei P9 and its performance is absolutely good. The specs are high-end especially the camera. I would if their phones worked with my provider. The only one that did was the 6p. China has a record of "snooping"
Are there any good Huawei products? I have a Huawei P9 and an M2 tablet, both great devices. Screens and tablet sound fantastic. I'll add to that the Mediapad M3. I bought it for my mother and she's over the moon with it. It's probably the best Android tablet you can buy right now - fast, 4xHarman-Kardon speakers (better sounding than my 10.5" iPad Pro), a beautiful high-res screen (more DPI than my iPad Pro), takes a microSD card, has the super-fast Huawei fingerprint reader (beats Apple's by a long shot), looks great, and best of all, the LTE version cost me $300 last Christmas. The only downsides to it are the slow OS updates and the lack of accessories, like keyboards. Is anyone performing comprehensive security evaluations of phones? We've placed blind trust in the popular brands we've known but with so many that have been on the horizon and now are coming over, there must be risks to consider. The disaster with wide-spread failing batteries on the Huawei-built Nexus 6P and Huawei's failure to step up to the plate has left a very bitter taste in my mouth. No more Huawei products for me, ever. Yes, hats off to Huawei. From zero to hero in Europe in very little time! My P9 has been the best phone I ever had, in a long line of smartphones. It's a year and a half old now and still going perfectly. I got the last software update yesterday, for the Blueborne fix and new camera and gallery features (live photos). Pretty good updates, although I'm disappointed it won't get Oreo. The phone works very well for me, with three exceptions. First, video recording is rather mediocre. Second, low-light photography of moving subjects (kids and pets) isn't very good. Third, it requires more tweaking than I'd like to let apps live in the background. Otherwise it's really good. It doesn't annoy me, which is very important. I'd highlight the radios, which are excellent. It still impresses me how it connects to a foreign network, after I land and I turn off airplane mode, nearly instantly. No other phone I've seen does that. The screen is good, has nice blacks, it's plenty bright and visible outside. It had very little bloatware and everything could be uninstalled using the normal method. The phone is fast and just about lag-free. In my opinion the combination of Kirin 955 with the flash memory they used is very good, and in real life faster than I think all 2016 Android flagships. I used a Samsung S8 and it doesn't really feel faster. The camera is great, including for low-light photography. People think that Apple invented the "portrait mode" when in fact it came first on the P9, much earlier, and much better than on the iPhone. It's flexible and you can refocus and change the aperture after the shot is taken. The camera app I think is best in class. Very flexible and well designed. Switching to Pro mode is brilliant, you just pull a little tab and suddenly get access to ISO/exposure/etc. When I get a new phone, this is what I'll miss the most. Last, the design. I have the titanium one which is slightly violet and I still love the looks. It's so slim and elegant. There's a red one though which is absolutely stunning. Shame they launched it so late and in very limited numbers. On the customer support note, I have two experiences. The phone has a built-in chat with a customer service representative, and it actually worked. Second, I smashed the screen and replaced it at their service centre, it was about $120 and they did it perfectly. To top it off, I only paid about $450 for the phone and I got it less than a month after launch, brand new. This is how you build a brand! If you gave me a Huawei phone, it would go up on eBay immediately. I've been very impressed with Huawei 's HONOR and MATE devices (these have become the replacement for the Nexus, for me); as I've appreciated what ZTE offers (Axon 7 is still a great Smartphone). Both Huawei and Samsung are taking over Apple's market, the question remains who's going to update their Android OS faster without any problems from pushing an update too soon (I'm fine if it's not stock Android provided there's not a lot of bloatware). Smartphone, Phablet - Huawei and Samsung are killing the competition .... but what about the Tablet? They wen't Chinese people that went in and asked for a Chinese phone? What you pay is what you get - you won't buy the best if it is not Samsung.